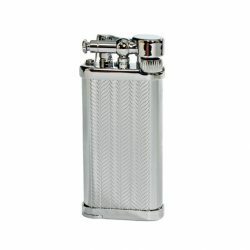 Pipe lighters ignite tobacco in two distinct ways; their flame is generally cooler and less intense so as to not damage the pipe or burn the tobacco; and secondly they feature an angled flame which keeps fingers out of the way when igniting a pipe. 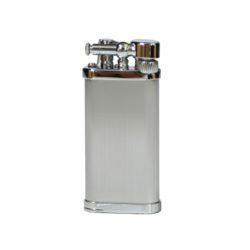 Pipe smokers generally prefer a butane lighter, as the lower temperature flame does not scorch the tobacco. 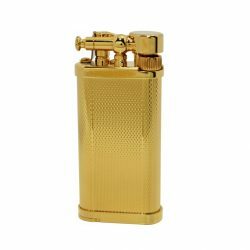 Alexanders Cigar Merchants stock a range of quality pipe lighters from a range of brands, all-purpose crafted to last a life time. Choose from some of the finest brand names in smoking accessories and make the right choice for you. Whether you favour the more classical appearance of the Savinelli or would prefer the more modern profile of the Xikar, pre-equipped with a tamper, poker and knife, we’ll have something to suit your lifestyle. Alexanders Cigar Merchants offers a broad range of finely made cigar, pipe and cigarette products, including cutters and humidors. We work closely with manufacturers and suppliers around the globe to ensure a large, hand-selected collection of the highest quality products for our customers. Place your order today, or get in touch with our friendly, knowledgeable staff at our Toorak store on (03) 9827 1477 or via email at [email protected]. Our team prides itself on providing the advice our customers need to make the right selection for their lifestyle, so start a conversation today and get the guidance you need. We also welcome enquiries via our contact form.